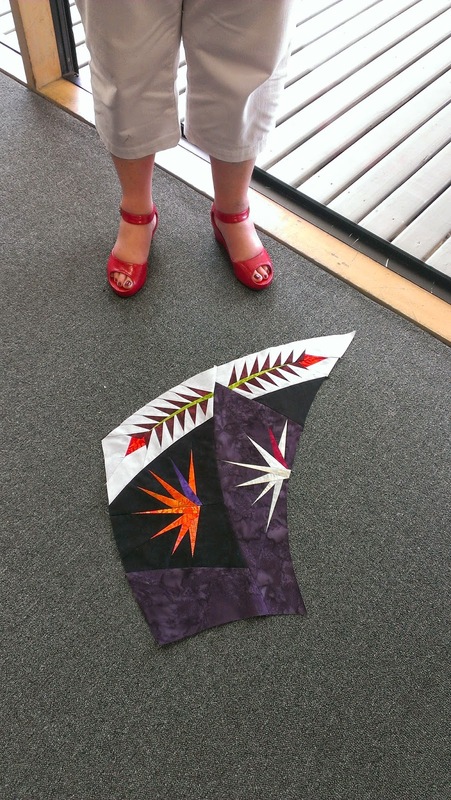 A blog about the great Sunshine Coast's Sewing and Patchwork Shop, Kimz Sewing and Patchwork Centre. We at Kimz love all Sewing, Patchwork and Machine Embroidery. We offer fun Classes and friendly knowledgable advice. 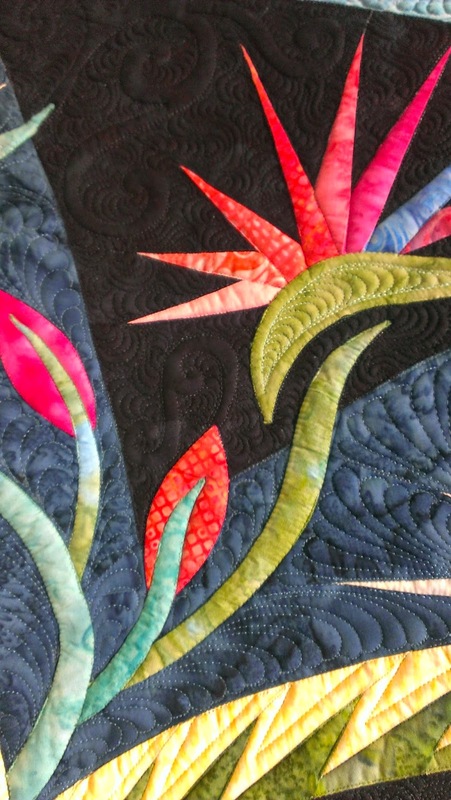 November 2014 I (Kim) undertook training with Judy Niemeyer from Quiltworx to become a certified quilt shop. It was AMAZING!!! Judy and her husband Del where the loveliest people and Judy was a very patient and fantastic teacher. Joanne Wearing, the very first Certified Instructor for Australia, was also there helping Judy and Del out and was a great support. So what does a certified shop mean? 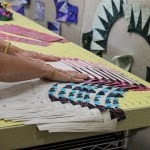 Well it means that a Certified Shop has exclusive selling and teaching rights over certain Patterns put out by Quiltworx. 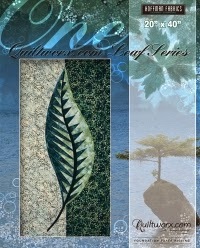 It also means we are supported by Judy Niemeyer and her team from Quiltworx.com. 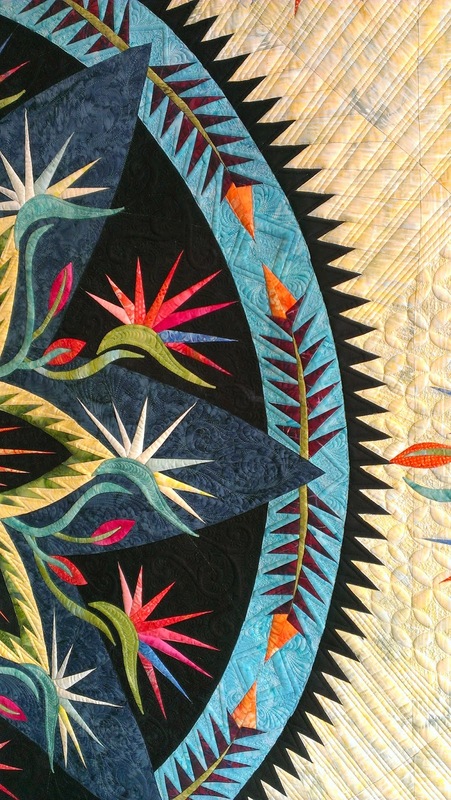 The team at Quiltworx have a commitment to TEACH people the art of paper piecing and to develop this process for application to a world of amazing quilt patterns in an effort to bring Traditional designs into a modern world through the use of tools, technology and innovation. 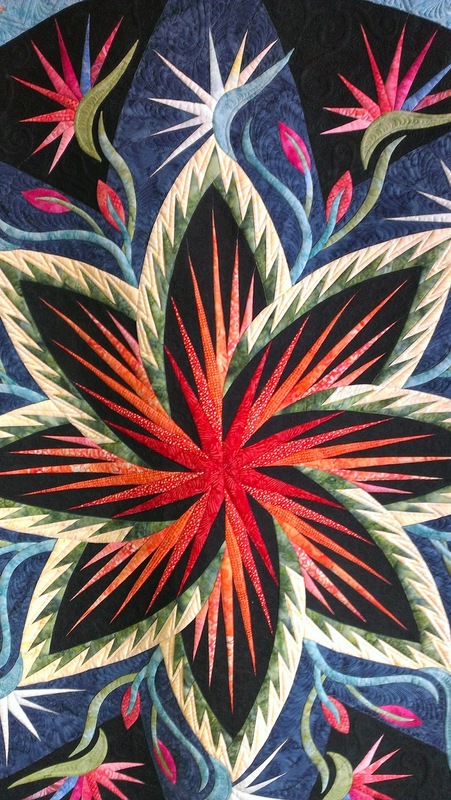 This beautiful quilt below is the new Technique of the Month (TOM) by Quiltworx and it is called "Paradise in Blooms "
These classes will start on February 28th and will be a series of classes once a month. 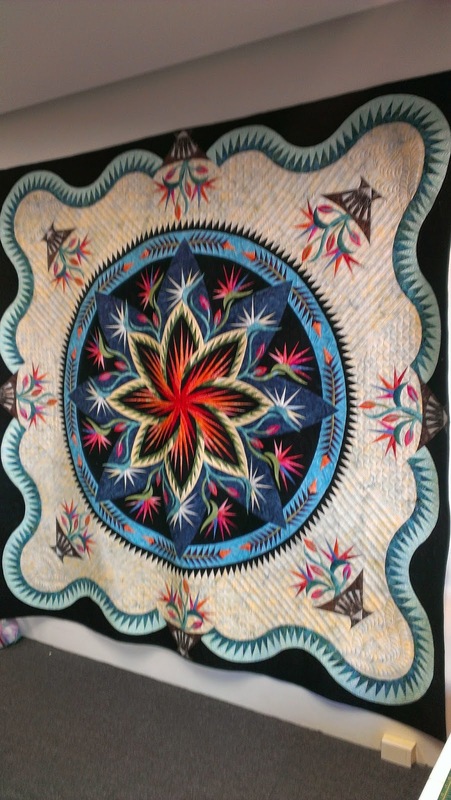 Kits will be available for this extraordinary quilt. 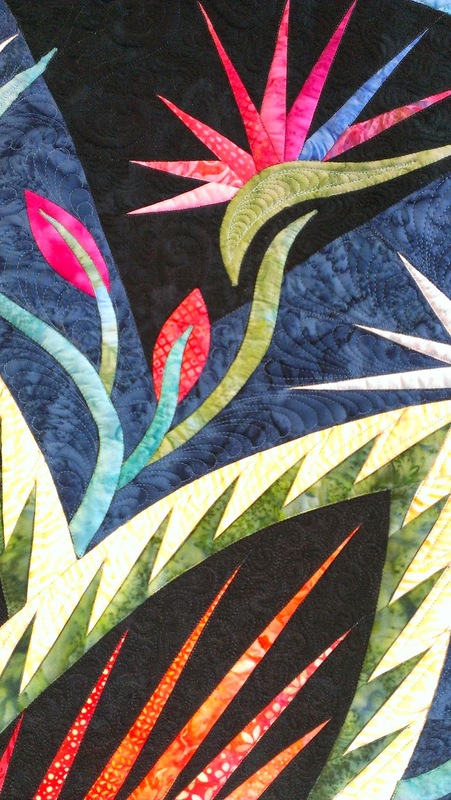 Some of the Applique close up. How do the red shoes look with this? Being very organized is the key, and the right tools it makes this amazing technique all the more enjoyable. I can't wait to kick off teaching with the new skills I have learned and look forward to seeing everyone's creations. Hello thanks for viewing my blog. 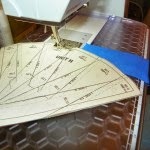 This is the official blog of Kimz Sewing & Patchwork Centre. Be sure to follow us here, instagram and facebook for up-to-date information, tips and techniques.